1. SpikeBall Starter Pack: now only â¬230!! 2. SpikeBall Deal: â¬250 - save â¬15! 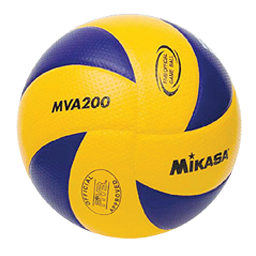 Mikasa MVA-200 NOW ON SALE: â¬60 each!! 3. 10-Match Ball Deal: â¬585!! 4. 5-Match Ball Deal: now â¬300!! 1 Mikasa 5-ball bag FREE!!! Please allow 14 days for delivery; confirmation of order dispatch available by e-mail request only. Prices include post and packaging.